Here’s some wonderful news that I’ve been meaning to share (properly). If you follow me on FaceBook, then you’ve already seen this, but again, wanted to give a proper mention…. Earlier this month I was contacted by Karolyn Grimes the beloved actress who played Zuzu in Frank Capra’s “It’s A Wonderful Life”. 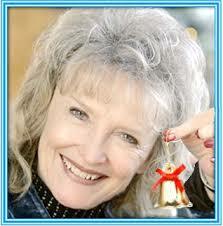 I had reached out to her when Carmel Harrington’s book Every Time A Bell Rings was published. I asked Karolyn if she would like to read it and sent her a copy. Well she got back to me and SHE LOVED IT! Karolyn agreed to give it both a written as well as video endorsement. Thank you Karolyn (Zuzu) for your very kind words! This means so much to both me and Carmel. This entry was posted in Uncategorized on April 22, 2016 by tracelit.